A lovely chestnut gelding by Black Sam Bellamy out of Falcon's Gunner. 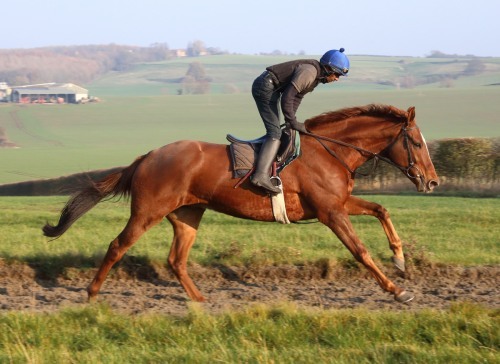 He left his previous form well behind when he was second at Catterick in January 2018, beaten just a length over two and a half miles. He went one better at Catterick on his next outing when he lost his maiden tag, winning a novices hurdle. He made a huge step forward at Sandown in March where he was an easy winner of the Grade 3 EBF Novices Handicap Hurdle. We know him at the yard as 'Graham'. 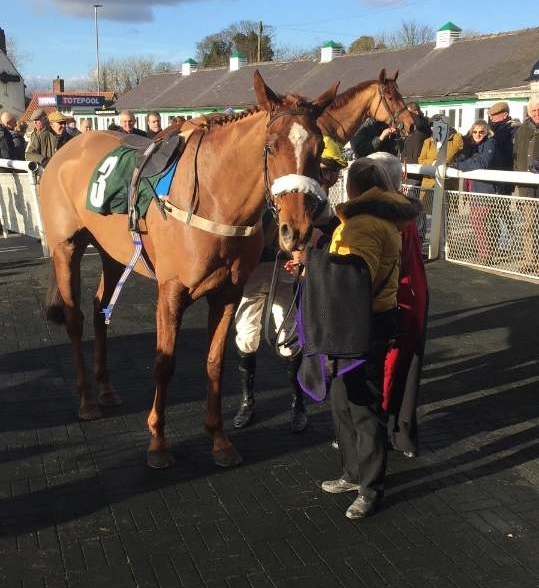 02/02/18 Sam's Gunner a double winner at Catterick! 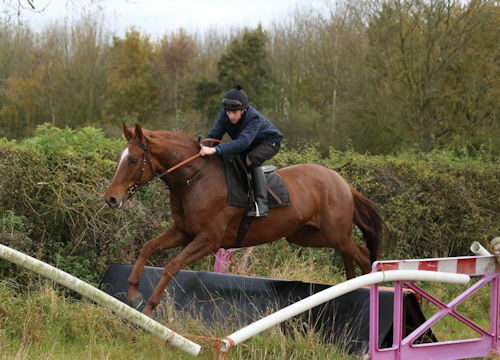 Sam's Gunner preparing for the 2018/19 jumps season on the uphill gallop in December.